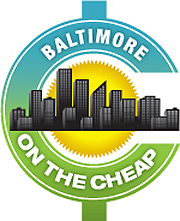 If you’d like to keep up with the latest deals, discounts and free events happening around Charm City, be sure to sign up for the Baltimore on the Cheap Newsletter. Step aboard the Spirit of Baltimore for unparalleled cruising fun in the Inner Harbor. Framed by the city skyline and its beautiful parks, the Inner Harbor area is home to many of Baltimore’s biggest attractions, such as the National Aquarium and Camden Yard Sports Complex. These three-hour cruises set sail all year-round, offering seasonal viewing of the city. Great for parties of all sizes, a Spirit cruise gives you the chance to dine, dance and see Baltimore like never before. You can find more discounted tickets for events in the Baltimore and Washington, DC area here.